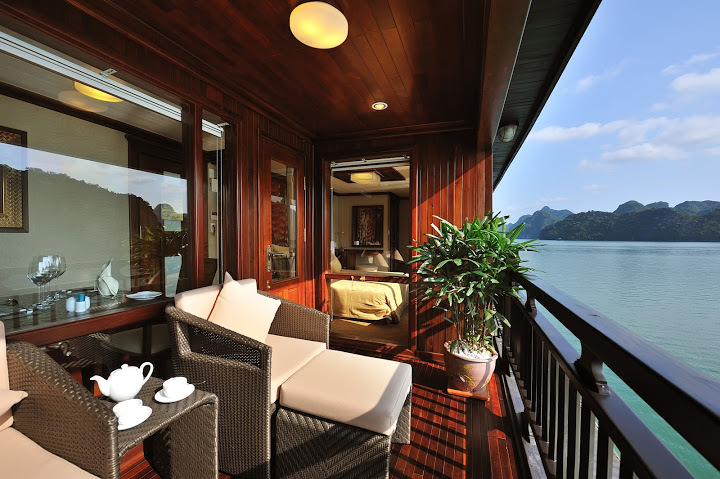 Paradise Cruise (including Paradise Privilege, Paradise Peak and Paradise Luxury) is top of chart in every aspect if you are looking for an ultimate luxurious cruise around Halong Bay. At the first sight, Paradise Cruise is not only aesthetically attractive but it also has stunning amenities fitted for royalties. It is well worth the money upgrading to a spacious and spotlessly clean cabin with a charming private balcony so you can chill and admire the spectacular view. 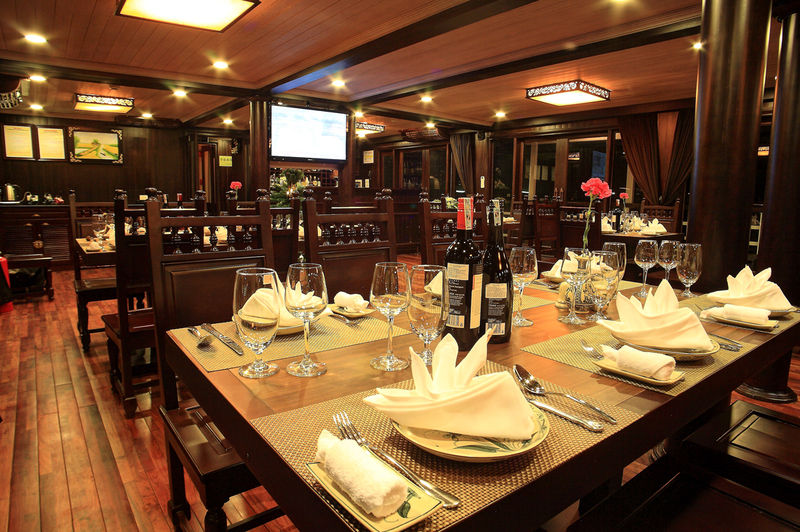 In addition to the mouthwatering fresh seafood platters on board, unlimited Vietnamese dishes and a cooking demonstration for you to try, you can also enjoy services offered by the attentive and welcoming staffs. What sets Paradise Luxury Cruise one class above many other operating cruises in the bay? It is the unique 3 sails cruise and the excellent service. You will certainly be satisfied with your stay on board while admiring the splendid Halong Bay by spending $200/pax for a 2 day-1night. As Emeraude day Cruise models the French paddle steamer, probably reflecting the origin of the French owner, it has a rather different take on the appearance. Especially when you spend only 1 day on board, this different interpretation from Chinese junk of other boats makes cruising around Halong Bay a really unique experience. With the short term journey time, the cruise will take you to Surprise Grotto – the widest and finest grotto, whose hanging stalactites forming various bizarre yet also intriguing shapes. After that, the next in the destination list is Hang Trong cave, where you can take a refreshing swim or go kayaking. Considering the long drive from and to the pier, compared with other longer packages, a one day trip at Halong Bay is probably less satisfying. This might make visitors feel like being rushed to places all the time. 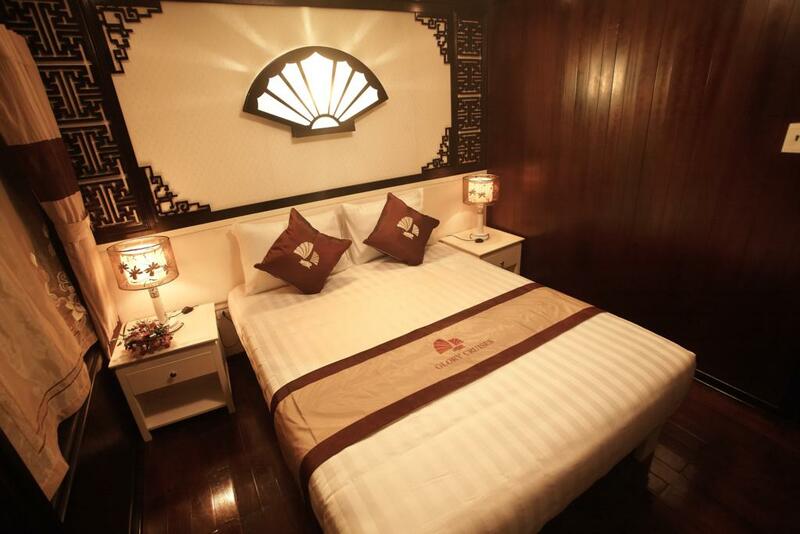 However, the great amenities and service offered by Emeraude cruise will compensate to it. It is likely that there are no other cruises that are able to match up with Glory Cruise at the price that it is offering its service. At around $110 (or even cheaper during promotion period), the cruise will bring you to fishing village where you can see no high rise buildings or busy traffic. Instead, the fishermen will amaze you with their daily activities carrying out mostly on herds of rafts and boats and traditional cultures. You can choose to discover Bat Cave by kayaking or take part in the interesting on board cooking class. Then, you can spend the night squid fishing on the deck or relaxing at the bar. 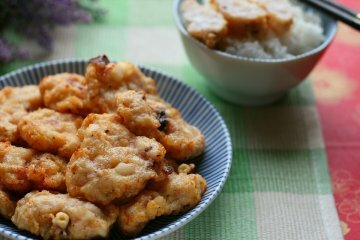 On the cruise itinerary, there is also a visit to Sung Sot cave. 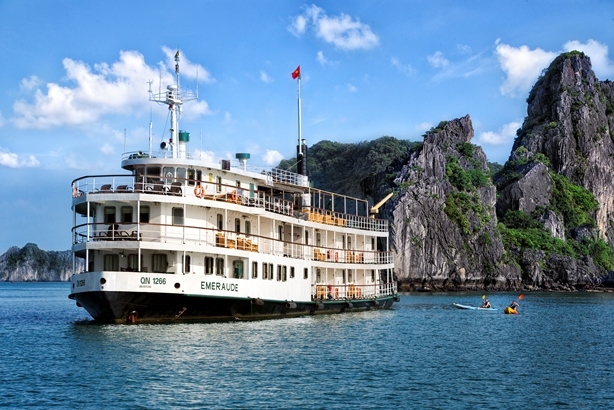 While taking travelers to popular Halong Bay destinations on a budget, the range of extra services is limited and the cruise food can get repetitive. 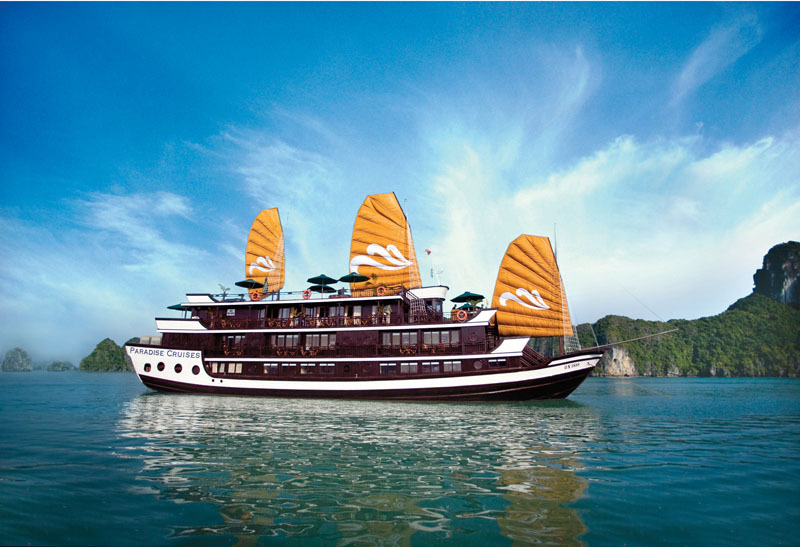 However, if you want to experience the wonder of Halong Bay without the additional cost of unnecessary frills, this cruise is a perfect choice.